Not only is Asahi is my second favourite beer (my #1 favourite being Carlton Draught – I’m an Aussie, after all), but I also love a bit of toilet humour, so the Asahi Beer Hall was always going to be on my list of places to visit in Tokyo. 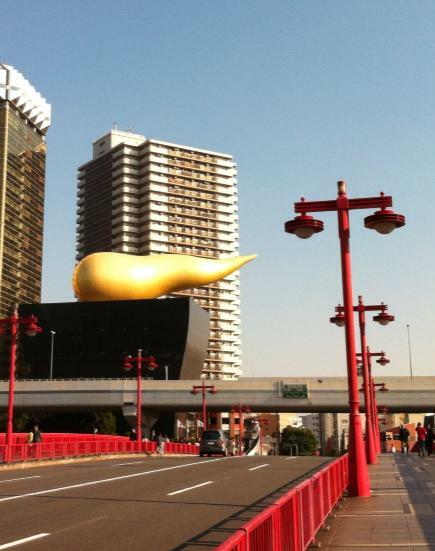 The Asahi Beer Hall is located across the Sumida River from Asakusa station. For those with an interest in architecture, it was designed by French designer and architect Philippe Starck, completed in 1989 and opened in 1990. You can find his website and the page on Flamme d’Or here. 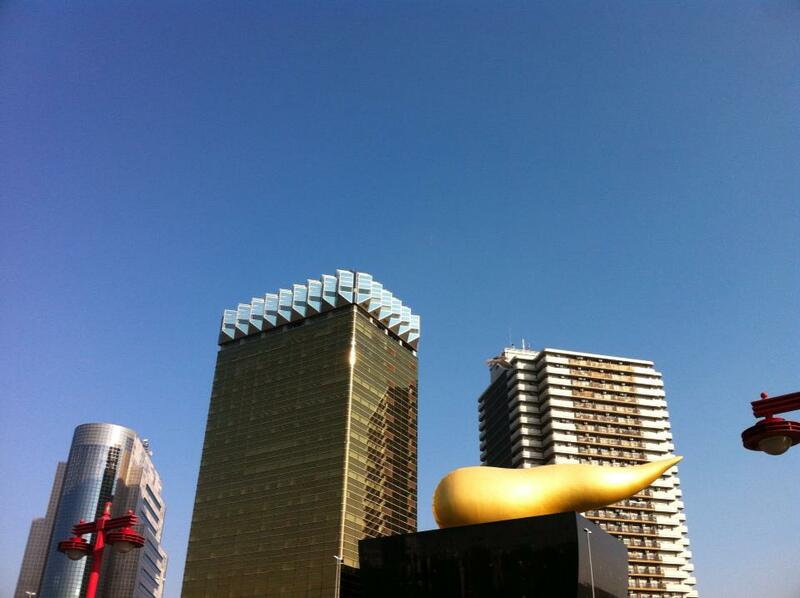 The golden building right next to it is the Asahi Breweries offices, and it’s meant to look like a glass of beer. I’m not sure why I took such awful photos – perhaps I was just overcome with excitement to finally be looking at the “the golden turd”. Next time I visit, I hope to be able to do a tour of the beer hall, and perhaps take some nicer photos!